ActiveRain is a great resource and library for information and content from a variety of members and contributers in numerous fields of the Real Estate Industry. It seems that everyone is always climbing and chasing the “Member on top of the mountain!” These folks have climbed and ended at the top for 2009. Here are the Top Bloggers in their fields based on the shear volume of content they have contributed to the Network and Community. Please take a moment to acknowledge and recognize these hard working Real Estate Bloggers who have faithfully, consistently, and religiously given of their time and information to make it to the “Top Of Their Fields” on ActiveRain. Over 17 yrs in the mortgage industry & real estate market, I bring expert knowledge and creativity to financing options & loan programs. Being honest and serving your individual needs is my desire! McCue Mortgage is a Connecticut based Mortgage Co., that specializes in first time homebuyers. However, we are equipped to service all homebuyer with many loan programs such as FHA, VA, & CHFA. Steven L. Smith, an experienced Bellingham home inspector — Washington State Licensed Home Inspector #207. Licensed structural pest inspector. Member Home Inspector Licensing Board. We provide certified residential real estate appraisal services in NW Oregon and SW Washington. We Value Your Home. If you are buying, selling or refinancing property in Santa Barbara County, give us a call. We are here to make it easy! Real Estate Broker;offering five star service since 1985, in the San Diego area: Holding the following designations. Accredited Buyers Respresentative, Senior Real Estate Representiave. Accredited Auctioneer. I offer web design, re-design, maintenance, hosting and virtual assistance. I also work with StagersLISTExpo.com for the Real Estate Home Staging and Design industries. Certified New York Feng Shui Consultant since 1997 and Founder of Feng Shui Long Island & NY providing Consultations for Homes & Offices in Manhattan, Queens and Long Island for Homes & Businesses. Co-Owner of Tutas Towne Realty, Inc. Living Life and Loving It! We are a Business Networking and Marketing platform that allows businesses all over the country to get more out of their networking efforts and generate more referrals with less time & money invested. Would you like to close more loans? As a contract mortgage loan processor with a WA Mortgage Brokers License, I have the knowledge and abilty to help you get your loans processed from start to close. Buyers agents helping first time, new home, relocating, waterfront, luxury homes, horse friendly and farms, single family, town home, condo homes in Maryland and Northern Virginia. Stanton Homes is a renowned new home builder in the Raleigh/Triangle area – with extras in every home like signature archways and unique trey ceilings. Free building cost estimates. Helping people grow their businesses by effectively using technology. 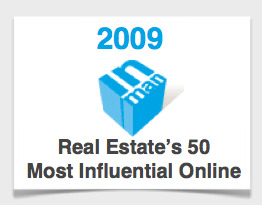 I am the President of Zeek Interactive and Founder of RealEstateShows.com. Father of 6. Husband of 1. We help home builders, managers, salespeople, marketers, Realtors, and entrepreneurs across America become more visible, productive, effective and profitable while really enjoying what they are doing. A full service lawn care/ landscaping company that cares. We are strongly dedicated to 100% customer satisfaction. If your looking for a great lawn care provider, Horton’s Lawn Care L.L.C. is for YOU! International Merger & Acquisition,and consulting. Real estate services for investors or investment minded clients in RI and from the world. We believe in team work and win-win solution. Property Management Rentals and Maintenance in Sacramento, Yolo, Placer, and El Dorado Counties from offices located in Sacramento, Roseville, and Orangevale, CA We manage residential and commercial. We believe in providing our clients with experience, professionalism & the highest level of service. We welcome the opportunity to serve you in all of your Real Estate needs. CPA specializing in helping small business’s succeed. There are many ways to improve cash flow and manage taxes. I have both practical experience and actively remain current on new regulations. 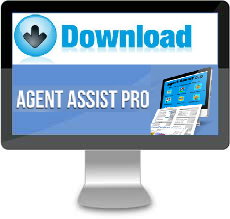 Offering a proprietary funding vehicle for Realtors, insurance agents and financial services pros. Call 909-597-3502 or visit www.lifewithapayplan.com. Give yourself an edge in this economy. The only way to become the “#1 TOP BLOGGING MEMBER” in any of these categories on ActiveRain is to BLOG, plain and simple. These folks have committed many hours of their time, their knowledge, and shared their experiences here with us. They should be commended for all their efforts. Who will be at the top of their field at the end of 2010? 365 days from now, you’ll know. Although I would have loved to have gathered all these folks together for one of the greatest ActiveRain Luncheon Gatherings ever, they’ll have to settle for their “much deserved” year end bonus points for rising to the top of their fields in 2009. Their work, contributions, and “value added” content is so appreciated by the Real Estate Industry, our members, the AR staff, and above all, our guests and visitors. I’m looking forward to seeing what these folks above and “YOU” have planned for 2010. Congratulations!! THANK YOU, and keep up the great work you’re doing here!